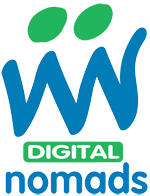 The Hosting Services are provided by Digital Nomads Limited (“we”, “us” and “our”). We are registered in England and Wales under company number 07752749 and we have our registered office at Kemp House, 152-160 City Road, London EC1V 2NX. 1.1 The Hosting Services comprise the provision of web space on servers to enable you to upload pages and files for the purpose of publishing websites. 2.3 You must not use the Hosting Services as an offsite backup facility. Therefore, all files uploaded to our servers as part of your usage of the Hosting Services must be visible and accessible to the outside world (web-visible) unless they are needed to operate the website of which they form part. We reserve the right to delete files or directories that are not web-visible without giving notice to you. 2.4 All pages of websites stored on our servers as part of the Hosting Services will be available to search engines unless you take action to prevent this. If you wish to optimise your web pages for search engines you agree to use coding and techniques which complies fully with the guidelines issued by Google, MSN, Yahoo and other large search engines.